Welcome to Part 5 of our “Gemstones of the Zodiac” series. The fifth sign of the Zodiac is Leo (July 22 - Aug 21st). The Mystical Zodiac stone for Leo is Diamond. 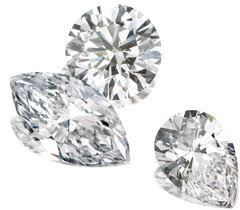 Diamonds are formed from carbon, which is one of the most abundant elements on Earth. 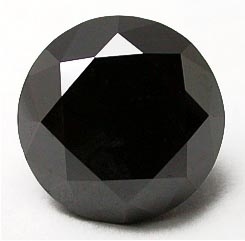 The carbon molecules undergo tremendous heat and pressure to form a diamond. 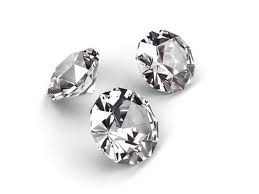 It is believed that diamonds are most likely discovered someplace other than their original source. 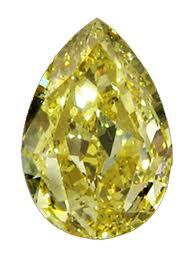 Volcanic activity would carry the diamond crystals inside it. As surfaces eroded and stream beds formed, discharged diamond crystals would be moved with it, sometimes carrying them all the way to the sea. 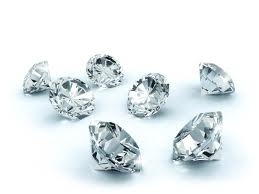 Considering their existence has been known for around 3,000 years, diamonds were most likely found in this manner as opposed to mines being excavated. 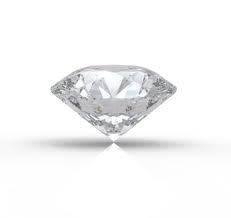 The earliest recorded mention of diamonds is in India around 3,000 years ago. Then they were mostly prized for their ability to refract light. 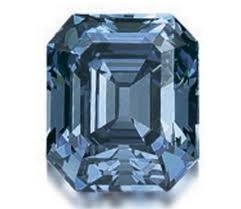 This made the diamond sought after for it's decorative purposes. Their durability was also a symbol of strength, and diamonds were worn as a talisman for soldiers/warriors going into battle. No less than Julius Caesar, Napoleon and Louis IV all considered diamonds their personal talisman. In medieval times, people would have a diamond sewn into their clothes to offer protection from the evil eye or spells. Mary Stuart always carried one, as she believed it would help her identify poisons. In the Far East, diamonds were thought to be good for the heart. They would place a diamond in a glass of water and let it sit overnight. The next day, they would remove the diamond and drink the water. Because its white form is perfectly clear, diamonds are believed to be about purity and bringing things to a whole. This is why they are the traditional stone for wedding rings. They are also a sign of fidelity and commitment. In addition, diamonds are believed to amplify energy - and as result of this, it is important that you be careful what stones you wear with it. A diamond will intensify the properties of the other stones around it, as well as the energies of those around you (including yourself!). 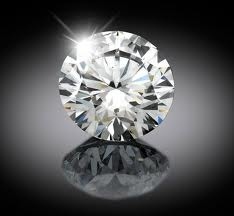 From a healing perspective diamonds are believed to bring fearlessness, strength and fortitude. They are thought to dissipate emotional and mental pain, and bring about new possibilities and beginnings. Obviously, due to their clarity, they are thought to bring enlightenment allowing your inner soul to shine. Diamonds are also thought to purify and detox your entire body, balance metabolism, help build stamina and treat dizziness and vertigo. 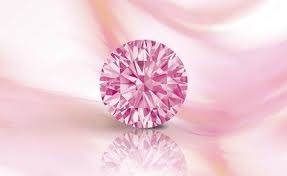 In addition to clear/white diamonds, there are also multiple colors of diamonds. These colors have their own properties associated with them. Yellow - increases thoughtfulness and consideration. Blue - good for building our willpower and as an inspiration for taking better care of ourselves. Pink - great for your creative expression. Black - perfect for increasing your ability to truly look inside yourself, without any preconceptions or illusions. For additional information on how to cleanse your stones, refer to the article "Cleansing Your Healing Stones, Crystals and Gemstones Using Selenite" by Diane Fergurson on the Mind Body Spirit Odyssey.